I. IS THERE A GOD? IV. HOW WOULD WE IDENTIFY A COMMUNICATION? Is there a God? Is there an entity outside of everything that exists, that/who is responsible for everything that exists? The debate has gone on for centuries and continues in learned journals, in the editorial pages of our local newspapers, and on the web, oftentimes in the form of the evolution versus creation controversy. The position of some is that there is no God because there is no scientific evidence to indicate God’s existence, and that those who believe there is a God are simply using “faith” which they maintain is synonymous with wishful thinking. This raises the question as to why so many ordinary folks continue to believe there is a God in the absence of any scientific proof. Polls indicate that the number of those who believe in a God is around 80 percent of the populace. Is there something operating here that is more than just wishful thinking on the part of the general population? Why would such a high percentage of ordinary people of average intelligence continue to believe in a God when there is no proof? Could it be that the general populace is more scientific than they are given credit for? Is there more evidence for the existence of God than is generally portrayed? Let’s consider some scientific evidences that point toward the existence of a God. One of the most compelling arguments for the existence of God comes from the scientific community itself, with its fairly recent conclusion that our universe has boundaries, both in time and in space. 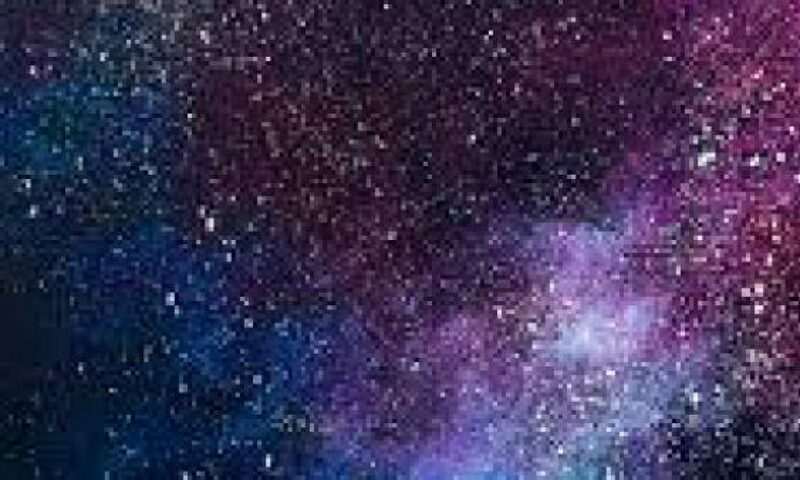 The scientific community’s general acceptance of the Big Bang theory concerning the origin of the universe means that the universe had a starting point, before which it did not exist. Secondly, it means that the universe has a spatial size boundary, currently estimated at 30+ billion light years. This conclusion does away with other previous origin theories such as “the universe is eternal, having always existed and always will,” or, “the universe is evolving like everything else.” The fact that the universe has boundaries in time and space means that it is a physical entity, and physical entities have certain properties about which even we average folks have proven knowledge. What is it that we all know about physical entities? Each of us goes through life conducting little scientific experiments, i.e., formulating hypotheses and testing them. We do this from childhood in innumerable ways. One of the hypotheses that we test early on has to do with the existence of physical objects. As a toddler we test the hypothesis that we can occupy the same space as that table leg, and find out that no, we can’t. Another hypothesis has to do with the origin of physical objects. Someone may tell us that if we wish for a particular toy hard enough, that we’ll get it, but we soon find out that is not the case. Toys and other physical objects don’t instantaneously materialize out of thin air. You might find one, or buy one, or have someone give you one, but they never instantaneously create themselves. None of us has ever had the experience of seeing a physical object create itself while we watched. All of the physical objects which we encounter in a lifetime, from toys, to tools, to cars, houses, to medicines, have each been designed and created by someone or something. This hypothesis has been proven to us without a doubt. These physical objects do not just instantly “self-create” out of thin air. In addition, we learn another principle: that every physical object is designed and created by an entity that has greater intellectual and physical capability than the object itself. A person can design and create a robot, and a robot can design and create a widget, but the widget will never design and create a robot, nor will the robot ever design and create the person. This is similar to one of the basic axioms of physics that states that one always gets less useful energy out of a system than you put in. For millennia, man has dreamt of the perpetual motion machine, a machine that produces more energy than is put into it. That machine will never exist. In a similar fashion, the greater always creates the lesser. The lesser will never create the greater. There’s no getting around this principle. Every physical object we encounter does not “self-create,” instead it comes into existence as a result of a prior cause, or action. No one has ever encountered an object instantly materializing out of thin air. The prior cause or action is always greater in magnitude (degree) than the “effect” or the result. A human can design a robot but the robot can never design a human. By the same token the robot may produce a widget but the widget can never produce a robot. 1. The universe is a physical object in TIME and SPACE, therefore it did not self-create. IT MUST HAVE HAD AN EXTERNAL CREATIVE IMPETUS. GREATER THAN ALL THE ENERGY (POWER) THAT EXISTS WITHIN THE UNIVERSE. 4. This infinite magnitude of ENERGY (POWER), BECAUSE IT IS INFINITE BY DEFINITION, CAN HAVE NO COMPETITOR, IT MUST BE A SINGULARITY. A super-powerful something exists outside of our universe. The existence of a super entity outside of the universe leads to the next question. What is its identity? Someone will say: “I believe that there has to be ‘something’ out there but this ‘something’ is more of a force.” Others argue that the entity is a person. Of all those who believe in ‘something out there,’ fewer believe that this ‘something’ is a person. Is there any evidence that will lead us to conclude that this super entity is not a something, nor a force, but a person? The prior cause or action is always greater in magnitude (degree) than the “effect” or the result. A human can design a robot but the robot can never design a human. By the same token the robot may produce a widget, but the widget can never produce a robot. In section I, we used this principle to conclude that because energy (power) resides within the physical universe, there had to be a greater impetus of energy (power) outside of it, and this we defined as God. Let’s apply the same reasoning to another entity which we all know first hand, the human being. Whether you consider humans to be part of the animal kingdom or a separate kingdom, we can all agree on many of the basic characteristics of this creature. We see these characteristics displayed around us everyday, and we witness them within our selves. We often call them personality traits, characteristics such as rationality, emotion, knowledge, willpower, communication abilities, creativity, self-preservation, socialization, introspection, capacity to worship, morality, etc. Many of these characteristics we share with animals, but some are unique to homosapiens. If we use the principle “the greater creates the lesser,” and apply it to this group of creatures called human beings, we reach the conclusion that if any of these personality characteristics exist in human beings, they had to first exist to a larger degree somewhere else. For example, just as the energy contained in the physical universe presupposes a greater energy outside of the universe, so the existence of what we term rationality in the human species presupposes a greater rationality outside of human existence. Some will argue that rationality can be learned, and it is true that degrees of rationality can be learned. However, we are not talking here about degrees of rationality, we are talking about rationality itself. If rationality itself exists as an entity within the human race, then according to the principle above, rationality itself must have had its origin in a rationality greater than that which we observe in the human race. A super-rationality if you will. A super-rationality that is beyond the rationality of the whole human race. Applying this reasoning to all of the other personality characteristics which we observe in the human being, we reach the conclusion that all of them must also have had their origin in “super-personality characteristics” that are beyond the personality characteristics of the human race. Therefore, the super entity we talked about above, is not just a super-force, it is a super-person. This super-person does not just possess a larger amount of rationality, morality, knowledge, etc., than we humans do, but this super-person is instead the source of rationality, morality, knowledge, etc. This super-person IS rationality, IS morality, IS knowledge, etc. The super-powerful something that exists outside of the universe also has super-personality traits. It is not just a super- something, it is a super-person. So, we have a supernatural personality (God) existing outside of our universe and responsible for it. Is that the end of the story? It might be. But with our built in inquisitiveness we soon wonder if there ever was or might be some communication from this supernatural person to our human race. Why would we ask that question? For one, because we humans are communicators. Not only just communicators, we humans seem to have an intense “will to communicate.” This “will to communicate” gave impetus to every language of the world, and now that we have them all, is the reason behind the translations of all languages in the world, and further, it is now behind the drive to overcome all language barriers. Where did this human “will to communicate” come from? In chapter two we looked at many of the characteristics of human beings as a basis for concluding that the entity responsible for human rationality, for example, had to be rationality itself. And extending that reasoning for all human traits, we concluded that the entity responsible for all of the traits which define a human being, had to be all of those traits amplified, or, had to possess those traits at the ultimate level. This led us to conclude that the something that is “out there,” is a super-person, not a super-force. The human characteristic, “will to communicate,” is simply another one of the traits that define a human being, traits such as rationality, morality, etc. The super-person who is “out there” was the source of our own “will to communicate.” This super-person who is out there, must be the “will to communicate” itself, or must be communication, period. Based on this reasoning, we can expect that this super-person, would not only desire to communicate with the human family, but would have to, because this super-person is communication itself. The super person outside of the universe would definitely seek to communicate with human beings because the super-person IS communication itself. At the end of the last chapter we concluded that the human family could expect to have a communication of some sort from the super-person(God) who exists outside of this universe. Now if this communication were some message written in the clouds, or the stars, or in some cosmic digital format with a self explanatory code, something that we don’t normally see, then it would be easy to identify. If however, the communication were to come through the words of one of us humans, then there would be a problem because with so many humans communicating about so many things, it would be difficult to identify. Assuming that there has been true communication at some point in the last 6000 years of recorded human history, there is no indication that such a communication was ever written in the clouds, the stars, or the cosmic digital format. On the other hand, there have been many human beings throughout history who have claimed to have had communication from their God. If the communication has come to the human family through a human spokesperson or human group, then we have the problem of identifying the true communication from those that are untrue. Some will say, wait a minute. Maybe God spoke through ALL, or spoke through MANY of those human spokespersons who throughout history have claimed to have heard a true communication from God. Well, if God did speak through the ALL, or the MANY, then wouldn’t we logically expect that the ALL, or the MANY, would be in agreement concerning the identity of this God that spoke to them? Certainly, we would expect agreement. Is that what we find? Do the many claims of communications from God throughout human history agree concerning the identity of the God that spoke through each of them? Absolutely not. The claims may overlap in some respects but most are very different when it comes to the identity of the Communicator. So we can conclude that the God we are looking for, did not speak through ALL, could have spoken through SOME if they agree on Gods identity, or could have spoken through just ONE. To help us determine which supposed communications from God are true, we need to look, not at the communication itself but at the definition of God that the communication contains. With this identity established, we can look at every supposed communication from God claimed by humans throughout recorded history, and see which ones identify a God with the above identifying characteristics. Let’s start our quest to determine which among the major religious traditions, defines a God that has the above identity. We can start with the most recognized religious traditions and/or founders such as Buddha, Confucius, Krishna, Jesus, Mohammed, Abraham, Moses, etc. Add to these the many other traditions or spokespersons representing smaller groups too numerous to mention . Which tradition or spokesperson has communicated a God who is Infinitely Powerful, Infinitely Personal, and is a Single Entity who exists outside of our universe and who claims responsibility for its existence. Let’s start by eliminating those who do not fit this description, and see which ones are left standing at the end. The easiest religious traditions to eliminate are all of the animist traditions in which God is equated to an animal form of some type. Worshipping a dog or a rat or other earthbound object is too earthy, not transcendent. No claims are made in these traditions concerning a God who is beyond time and space, instead; the God is bound up in a animal or a rock within time and space. Next, eliminate all those traditions which involved worship of the Sun, the Moon, Fire, or other observable phenomena or object. These traditions were/are usually polytheistic, not the single entity we are looking for. There would be a Sun God, a Moon God, Earth God, Sky God, etc., all at the same time. Even when one of the Gods was defined as the supreme God, other Gods would continue to exist simultaneously within the same tradition. This does not meet our criteria of a Single entity. Another problem was that the Gods were too human. If you were a royal king or queen as in Egypt, you even might have had the prospect of becoming a God yourself. Certainly not the God beyond time and space that we are looking for. These Gods were simply a human reaction to natural phenomena which humans did not understand. Add to this all of those Greek and Roman traditions of worshipping gods and goddesses which were made in the image of humans, i.e. Zeus, Mercury, etc. Again, the concept is too human. It’s the type of god any human would dream up if someone said he/she had to invent a god. It also was polytheistic. Neither of them can be the True God, because there are many. Then eliminate those traditions that simply focus on remaking self into an improved version of self through enlightenment, meditation, etc. However noble, they often do not even address the concept of the transcendent, creator God. Their focus is on self and not on the characteristic of their God. In these traditions also, the great God may exist alongside of other Gods, thus negating his “God-ness.” Take for example the Hindu concept of Brahmin who is considered a supreme god but then exists along side of myriad of other gods. Similarly, the American Indian concept of the Great Spirit identifies a supreme being who is above all, but then there are other earthbound spirits which received worship as well. Eliminating the above traditions makes our list very short. There are only a few traditions which define their God as Super-Powerful, Super Personality, Creator of the Universe, and a Singularity without competitors, and these traditions trace their concept of God to one individual who we first read about in the book of Genesis in the Old Testament. This person is Abraham, and the major traditions which trace back to Abraham are Judaism, Christianity, and Islam. Most religious traditions do not communicate a God who even claims to be the super-powerful, super-personality, creator of the universe, and who claims to be the one and only God. The one historical figure who first describes a communication from such a God was Abraham. The God which Abraham encountered meets the description of a Super-Powerful, Super Personality, Creator of the Universe, and a Singularity without competitors. Let’s consider how revolutionary Abraham’s experience was and, how unique was this God who Abraham encountered. Five thousand years ago the human family, in the form of tribal and family groups was migrating across the planet, developing agricultural practices, trading between groups, building monuments, building cities, in short doing many of the same things we do today. One thing that was noticeable however, was the divergence that characterized their settlements. This was not just one big happy family. There was this group and there was that group, and “we are different than you.” The nascent forms of nationalism were in existence from the start. This situation led to wars between groups, different customs, different languages, and, of course, different belief systems. Five thousand years ago, these divergent tribal, city-state groups each had their own gods and beliefs. These were gods of the sun, of the moon, of the stars, of the harvest, of fertility, etc, Some were good gods and others were gods that you had to placate in one way or another. And just to be on the safe side, you probably had more than one god in your backyard just to be sure. Other belief systems focused not on a god but how you might become one, and if you did things properly, there was a chance that you too could become a god of some kind.. This conglomeration of deities throughout the human race made a few things clear. One, mankind had a yearning or a need for connecting to some kind of higher power. Two, the many gods were created by humans to serve their own purposes because every god was tied to some manifestation of the human experience. In the middle of all this chaos of belief systems, we have a Bedouin trader saying that he has had a communication from a God who claims to be “outside of” heaven and earth, who claims to have created the heavens and earth, and who claims to be the One and Only, the True God. Think of it. Tribes of people all over the world, each developing different languages, customs and gods to worship, and here is one person, Abraham, who doesn’t even have a permanent address, claiming that the True God, the Only God, has spoken to him. It is a unique idea but it doesn’t sound as if this idea would be too popular among all the multi-cultural, indigenous religions of the day. If Abraham’s God was who he claimed to be, then all other so called Gods were false. Following are the chapter and verse references where the characteristics of the Most High God are described, grouped by the criteria we have established. The God that Abraham encountered meets the criteria of super-powerful, super-personality, creator of heavens and earth, and a single God without competitors. No other so-called Gods can claim any validity, because the infinite singleness of Abraham’s God, by definition, excludes all others. The God of Abraham, written about in the pages of the Book of Genesis, has been made known as the one True God of the Universe, The Most High God. Is this where it all ends? Does this God forever exist outside of our universe with no connection to the human family other than that He created it? It might have ended this way but it doesn’t. As we read on in Genesis we discover that Abraham had not only discovered the identity of The Most High God, but that this Most High God had plans to be forever involved with the future of the human family. In chapters 12 through 22 of Genesis, we find that this Most High God had specific and intimate plans for Abraham, for his descendents and ultimately for the whole human family. This was a surprising turn of events, but maybe we should have expected it. Earlier we stated that God was a Super-Personality having all of our personality traits to the infinite level. Well, one of our personality traits is certainly a desire for the future and welfare of our individual families, and this trait must have originated in this Most High God. So this Most High God is acting entirely consistent with His Nature when He shows that He intends to be forever connected to the human family. And His plans prove to be as astounding as His identity! Let’s take a closer look at the specific interventions which this God had in mind for the human family. Please read the account of Abraham and Sarah in chapters 12-22 of Genesis in order to have a background for the specifics that follow. Here is a review of the promises and the predictions which this Most High God first states, and then causes to happen in human history. Promises to make a great nation of Abraham’s first son, Ishmael, the one whose mother was Hagar, the servant in Abraham’s household. Ishmael was to have 12 sons, leaders and princes of their separate kingdoms. (Gen 17) And it happens just that way. Their names are listed in Gen 25. The Most High God intends to be ‘in charge.’ This is no rule by committee. This is a benevolent dictatorship, not a democracy. He rules, but he also reasons and negotiates. The Most High God is able to project His desires for the human family into the future. He has a plan to bring a special favor or blessing to the human family at some point in the future. He has specific plans for certain families of peoples, i.e. nations. Whenever He says something will happen, it does. The Most High God intends to be in charge of individual human beings and use them to carry out His plan for humanity. He “knows” about individual persons even before they are born. The plans of the Most High God are not always understood from the human perspective. If they were, He would not be God. He will explain, dialogue and listen to the human perspective, but in the end, He rules and expects compliance with what He has decided. The Most High God reserves the right to bring judgment upon on those who do not follow His plans. The Most High God receives honor and obedience from human individuals. The Most High God communicates to humans in various ways, by dreams, by visions, or even directly, by appearing in human form. The plan which this Most High God had for the human family was not a religion, as we understand religions, but a solemn promise to bless the human family. This God did not say to Abraham “if you do this and this, then I will do this. Instead he made unconditional promises which he proceeded to fulfill even in Abrahams lifetime. This God was going to make things happen for the human family, no human input required. The only thing that Abraham “did” was to believe that this God was speaking the truth. How different is this experience of Abraham from the experience of human beings caught up in the religious systems which have been devised by us humans. When we humans go about to develop a religious system, or to invent a god, we start with the assumption that we humans must do certain things to appease this god of ours, or do certain things to attain to the level of this god. The initiative is all from the human side, whether it be saying so many prayers, giving so much money, improving one’s consciousness, attaining some new level, etc. These are all characteristics of religious systems and thoughts that originate with finite human beings. Not so with this promise from the Most High God. This God was making a promise to the human family to favor it in a special way. No human input was required to make it happen. No conditions needed to be met. His promise and plan stands in sharp contrast to all the human based religious systems that existed during Abraham’s time, or which have been developed since. The Most High God that Abraham encountered was not only unique in His Identity, he was unique in His Initiative, and His Initiative was entirely consistent with His Identity as the transcendent One, the infinite Initiator. The God who was revealed to Abraham not only made known His identity as the Only and Most High God, but also made known His intentions of being forever linked to the future of the human family. The Most High God that Abraham encountered unveiled a specific plan to favor all of the human family. He plans to be intimately involved with the descendents of Abraham for the express purpose of bringing this favor to humankind. The Covenant Promise initiated by this Most High God was completely different than the religious systems and thought that have had their origin in the minds of human beings. In the previous section we learned about the covenant promise that the Most High God made to Abraham about a future favor to be given to all of mankind. As we learn more about this covenant promise, we discover that this Most High God intended to bring it to pass in a rather unique way. First, the promise was not going to be fulfilled in Abraham’s lifetime, but at some point in the distant future. However, it was not going to be fulfilled at some remote point in the future with no connection back to Abraham. No, the Most High God intended to use the lineage of family, in this case Abraham’s family, to make this original promise to Abraham connect to its ultimate and future fulfillment. If Abraham had been the only one who knew about the promise, it might have died with him. Instead the Most High God devises a plan whereby the promise will be renewed with each succeeding generation. This will keep the promise alive for however many generations until it is fulfilled. In a strange way it will favor many generations with hope, even before the promise is fulfilled. This God has many surprises. So how was this perpetual promise going to work? In those days the favor of a patriarch was passed from father to son, not to daughters. Abraham has at least eight sons, Ishmael by Hagar, Isaac by Sarah, and six others by Keturah. Will the promise be passed down through All of them? No. We learned earlier, in Genesis, that the Most High God was going to make a choice, and that the covenant promise would be passed on through one son, Isaac. Ishmael received a separate blessing and favor that would make him the head of twelve great nations, but the covenant promise was to continue on through Isaac. In addition to God calling the shots ahead of time, even before the children are born, we find that The Most High God then confirms the promise to the chosen son during that son’s adult life. In Genesis 26, we read of Isaac’s interaction with God, and God’s re-confirmation of the covenant promise to him. Next we come to Jacob’s offspring and their rather tumultuous existence. Let’s follow the covenant promise again, but first review the circumstances of their lives. Remember, Jacob had encountered the Most High God and had been given a new name, he was to be known as Israel, not Jacob. Jacob was the father of twelve sons, his favorite being Joseph. In Genesis we learn those exciting details of how Joseph is sold into slavery in Egypt by his eleven brothers, how that the eleven brothers eventually end up in Egypt also because of a famine, how that Joseph has become the “vice pharaoh,” how that Joseph finally lets his brothers know who he really is, and how that Joseph arranges for his aging father to be brought down to Egypt to live there with the family. What about the covenant promise? There is no prior designation by the Most High God of a chosen heir from among the twelve brothers. Does this mean that all of them will carry the covenant promise forward? Will the promise to Abraham to bless the whole world come through the children of all twelve brothers? Or, if only one should be chosen, which among the twelve would be the most likely candidate. Well, Joseph is certainly the morally upright hero of the story, it must certainly should be Joseph’s family which should carry on the covenant promise. his teeth whiter than milk. What an astounding blessing and prediction by the aging patriarch, Jacob. It goes way beyond a simple blessing of an heir, and speaks about a special person who will come and command universal obedience. The family of Judah was to carry forward the covenant promise originally given to Abraham. From a human perspective, Joseph, not Judah would have been chosen because of Joseph’s extraordinary accomplishments in Egypt. The Most High God had other plans. The covenant promise of the Most High God to favor the human family will come through the descendents of Judah, one of Abraham’s great-grandsons. The covenant promise to favor the human family involves an individual who will someday reign over the nations. The account in the book of Genesis ends with Jacob’s family still living in Egypt. They would be there for approximately 400 years. Jacob soon dies, and the twelve sons would also die during that period of sojourn in Egypt. There is no immediate heir of Judah designated to take up the covenant promise as had happened from Abraham to Judah. Generations of Judah’s heirs were born and died without anything further said about the promise. Does this mean the covenant promise had been forgotten? Would God ever communicate anything else regarding this covenant promise and the promised ruler who was to come? Yes, He would, and He did it for approximately 1000 years through a group of individuals called prophets. Abraham himself was a prophet. But beginning with the exodus of the Hebrew people from Egypt, there began to be a succession of individuals who claimed to be a communication channel from the Most High God, and they became known as prophets, or prophetesses. Moses, the leader of the nation during the exodus, was a prophet, but there were many others who would follow. These individuals became spokespersons for the Most High God and they became the conscience of this small nation of Israel. And it was through the role of the prophet that the Most High God continued to inform mankind about the covenant promise, about the ruler that was to come through the family of Judah. What was the role of the prophet or prophetess? For one the prophet spoke to the social and political issues of the day and related them the concerns which God had impressed upon the consciousness of the prophet. The prophets were the constant reminder to kings and peasant alike that the Most High God was the one in charge of nations and peoples, and that everyone needed to heed His commands. Much of the Old Testament is devoted to accounts of the exploits of these prophets, probably because they were always at the cutting edge of the latest social-political development of the time, and they were right there like protesters with placards, reminding everyone of the claims of the Most High God. The message of the prophet often contained conditional references to the future. “If this nation does this, then such and such will happen, if the nation does the other, then this will happen.” The prophet was the communication channel for the Most High God during the long period of time from the exodus from Egypt, until the return from the Babylonian captivity, a period of time of about 1000 years. How do we know that the communication through the prophets was from the same source as the communication to Abraham? For one, the prophets claimed that the God they spoke for had the same identity as the Most High God of Abraham. They consistently spoke in the name of this Most High God. (They coined a Hebrew name for this God, Yahweh) In addition, if a prophet were presumed to speak on behalf of any other god, that prophet was to be identified as a false prophet. How can we know what the prophets said was true? One, these individuals did not know each other, living at different times and locations, and yet their message was always consistent with each other. This internal agreement of their message was independent confirmation that they each were speaking in the name of and on the authority of that Most High God. Secondly, they spoke out many times at the cost or risk of their own lives. Their message was not always appreciated by those in charge. It was always evident that the true prophet was not just speaking for his or her own benefit. And lastly, there was an internal test which God gave to determine whether a prophet was a true prophet or a false prophet. If a prophet spoke only in the name of the Most High God, and, secondly, if the events that a prophet predicted came true, he was to be considered a true prophet. By these tests, the nation of Israel knew for sure who was a true prophet, and who was a false prophet. Some of the true prophets of the Old Testament we recognize easily, individuals such as Moses, Samuel, Elijah, Isaiah, Jeremiah, Hosea, Joel, Zechariah, etc. Much of the Old Testament writings are the utterances of the prophets and also, are a record of their interactions with the religious and civil rulers of the day. There were many other prophets that are less recognizable by name but in practically every socio-political episode recorded in the Old Testament, we find someone designated as the true prophet of the Most High God who conveys God’s message to others. The primary message of the prophet was typically a forceful commentary concerning a particular immediate situation which the nation was facing during the prophet’s lifetime, whether it was a future battle, or a treaty, or an appeal to national repentance. And the weight of the prophet’s authority was evidenced by an introduction of “Thus says the Lord.” The message from the prophet was recognized as the means of communication from the Most High God to the rulers and the people of Israel. The message of the prophet often included a reference to the future, and it is in some of these future oriented messages that we once again see references to the covenant promise, and to the coming ruler, that special person from the tribe of Judah who would fulfill the covenant promise and bestow Gods favor on the human family. It is through the message of some of the prophets that we learn that the covenant promise did not die with Judah, even though many centuries had passed with no reference to Judah’s heirs passing it on. And the way it would happen was miraculous in and of itself. An isolated prophet, living and speaking to a local issue would pronounce a message of “thus says the Lord” that spoke to the social political issue of the day, and there in the middle of that local context, the prophet would make a reference to the covenant promise, a reference that looked far beyond the local issue. In many cases it seemed as if the prophet was not even aware of the significance of the words that he/she had just spoken. The one key prophetic statement that confirmed that the covenant promise was still being passed on through the generations came through a prophet called Nathan speaking to King David around 1000 BC. The message through Nathan dealt with an immediate issue concerning who would be responsible to build a temple for the Lord. Nathan’s message establishes that it would be one of David’s sons, not David who would build the temple (II Sam 7). But embedded within that local prophecy by Nathan, there is an important statement that transcends the immediate, and looks down the corridor of history. After a period of approximately 700 years, the Most High God breaks into the human experience through the words of a humble prophet and the message is clear; the covenant promise continues, and it will now continue through the family tree of King David. And you guessed it- King David was a descendent from the tribe of Judah! The communication from the Most High God continues through messages of the Hebrew prophets. The covenant promise continues to be in force after many centuries had passed during which little reference was made to it. The covenant promise will be completed through the family of King David who himself was a descendent of Judah. The original promise to Abraham through Judah stated that a special person would someday appear who would have a contrasting dual role of both an international ruler and a lowly servant. In the section just completed we saw that this ruler was destined to sit on the throne of David, in a kingdom that would never end. We also saw that the Most High God was continuing to communicate to the human family through the messages of the prophets. We looked at one prophet, Nathan, but there were many others who appeared both before and after Nathan. And many of them also communicated information about the covenant promise and more specifically, about the identity of the special person to come. As we look at the information communicated by the prophets we must again remember that they each lived in different places and at different times and were not in consultation with each other. Each of them contributed only small pieces of information about the promised ruler, and again, these pieces of information were always contained within the context of a localized message. It is only when we take all of the pieces, from all of the prophets, and put them together as a tapestry, do we come up with the overall picture of this special person to come. He said to me, “You are my Son today I have become your Father. Ask of me, and I will make the nations your inheritance, the ends of the earth your possession. You will rule them with an iron scepter you will dash them to pieces like pottery. As we look over the above prophetic descriptions of the special person who was to come, what type of picture emerges? First, we are immediately struck with that same two-sided theme that we noticed in that first blessing of Jacob on Judah’s family. Remember that Jacob’s description of the person was a dual one, like two sides of a coin. On one side was a description of an internationally recognized ruling type person, but on the other side, a description of a servant type individual riding on a donkey. That same dual description appears in the selections above. Secondly, we see in the selection from Isaiah 53: 12 that this person’s greatness is directly attributed to his death and his bearing of sin, a strange combination indeed. And thirdly, the ruling presence of this special person will apparently be contested somehow by the kings and rulers of the earth. And lastly, this “son” with the government on his shoulders, will be called among others, the Mighty God, and the Everlasting Father. The special person of the covenant promise is The Mighty God and He will appear in human form. This will not be the first time He appears in human form because He did the same when He appeared to Abraham, as recorded in Genesis 18. The Most High God continued to reaffirm the covenant promise of a special person to come through the Hebrew prophets of the Old Testament. The Hebrew prophets described the coming special person as both Mighty God, and as a Servant Person. The special person of the covenant promise must be the Most High God in human form as there can only be one Most High God. We have concluded that the special person of the covenant promise to Abraham would be none other than the Most High God in the form of a human. Now we must ask whether this appearance is still in the future, or whether it has already happened. As we look back over the centuries since the prophets described the special person, we are probably aware of the claims of Jesus Christ who lived and died in Palestine 2000 plus years ago. Jesus Christ claimed to be the Most High God in human form. He claimed to be the Son of God, on a par equal to God. He said “If you have seen me, you have seen the Father.” He also claimed to be the head of a kingdom, the kingdom of God as opposed to an earthly empire. So his claims do match the identity of the person we are looking for. On the other hand, there have been others throughout history who also claimed that they were God. And there will probably be others still future who make the same claim. So how do we evaluate the claims of anyone claiming to be this special emissary of the covenant, past or future, including Jesus Christ? Let’s turn again to those Hebrew prophets who described for us the primary characteristics of the special person of the covenant promise. Did they say anything else about this person? Did they describe any other features about him that would help us in our quest? They did. In fact, they said so much, and in such detail, that it would be extremely easy to make a correct identification. Here is a list of descriptive characteristics and attributes which the special person of the covenant promise must possess, as previously stated by the Hebrew prophets between 1000 BC and 400 BC. We know through the records of eyewitness testimony that Jesus Christ of Nazareth met each of the above criteria established by the Hebrew prophets. Has there ever been anyone else in the whole history of mankind who both claimed to be God in human form, and who met these criteria? Never! Could there ever be anyone else in the future history of mankind, who could claim to be God in human form, and also meet these criteria. There will probably be someone in the future who claims to be God in human form, but it would be impossible for that person to meet all of the above criteria. The mathematical probability of a future person’s life meeting each and every one of the above criteria is impossible. It will never happen again! Where does this leave us in our quest. Jesus Christ of Nazareth claimed to be the “sent one,” the fulfillment of the statements made by the prophets of the Old Testament. We have seen that in His birth, life, death and resurrection He met every one of the detailed stipulations having to do with the “servant character” of the prophecies. But remember, the original prophesy concerning Judah also spoke of a contrasting side, the promise of a ruler who would command the obedience of the nations. Did Jesus of Nazareth become that type of ruler? No, he did not. He said He had a kingdom which was outside of this world, but the nations of the world have never been allegiant to that spiritual kingdom. Does this mean He is not the Promised One who was to come? If Jesus Christ is not the promised One, then there will never be a promised One, because we concluded above that no one in the future would ever be able to satisfy the detailed criteria established by the prophets concerning the promised One’s family, birth, life, death, and resurrection. Not having a promised One, however, would mean that the Most High God had failed to live up to the promise made to Abraham, Isaac, and Jacob. But if the Most High God is true to His character, and lives up to His promise, then the only answer to our dilemma is that the ruling and reigning aspect of the life of Jesus Christ is still in the future. And this is precisely the message that Jesus Christ left with His followers. He said He had come once to earth to die for the whole world, and that He would come a second time as a reigning judge. Because Jesus Christ fulfilled every detail that the Hebrew prophets had predicted about his first coming, we can be confident that He will complete everything the prophets wrote about His second coming. It is not a matter of IF, but WHEN? The risen Christ does not say “oh, things have changed and that is not going to happen.” He does not say “oh, somebody else is going to take on that role.” Instead He simply says that it is a matter of time and place, that the time and place were not yet correct, and that the disciples would not be given that information. And He says that only the Father knows the time and place. And if the Father knows the time and place, then it most assuredly will happen, and Christ will someday take His place on the eternal throne of David. Jesus Christ of Nazareth made the distinct claim that He was the Most High God in a human form. Just making the claim sets Him apart from all other major religious persons in the history of mankind. Because the covenant promise cannot be abandoned by the Most High God, and because Jesus Christ is the only one ever able to meet the “human” characteristics established by the Hebrew prophets, we conclude that Jesus Christ will in the future, fulfill the remaining part of the covenant promise, and rule and reign on the throne of David. We started by establishing that there must be a God outside of this universe; that this God had to be a super-power and super-personality; that this God had to claim responsibility for creating everything; and that this God would communicate with the human family because this God IS Communication. As we looked across recorded history we find that the first instance of a communication, from a God that fits the criteria, is recorded in the accounts of Abraham about 2000 BC. As we looked closer at this communication to Abraham we found that it included a promise of a future favor that God was going to confer on mankind. We also learned that this future favor was to involve a person who among other things would have international acclaim. The covenant promise was first handed down through Abraham’s offspring but then was confirmed through the centuries to Hebrew prophets who spoke very specifically about the characteristics of this future special person who would favor all of mankind. The nature of these prophecies and the accuracy of their fulfillment leave no doubt that the future favor for all mankind was through Jesus Christ. And we saw that Christ’s coming to earth was to happen at two separate times with a separate mission for each. His first coming as Savior is confirmation that He is coming again as Lord. Jesus Christ is the fulfillment of that covenant promise to Abraham to bring favor to the whole world. And just as the original promise required faith and trust on Abraham’s part, so this completed promise requires faith and trust by each of us. Jesus Christ died on a cross for the sins of the world, which included yours and mine. He offers forgiveness to you, and eternal life. It is a free gift, but you must accept it and make your own. Where are you in relation to this promise from the Most High God? Have you placed your trust and confidence in Jesus Christ? The Most High God wants to communicate with you and me in the same way He did with Abraham. He wants to be your personal God. It is a choice for each of us. Jesus Christ offers us God’s forgiveness for our sins. He offers us peace with God. He offers us a new life and an eternal life. Apart from Him is darkness and condemnation. It is really not a difficult choice. One of the sad commentaries about us humans is that our stubbornness often gets in the way and keeps us from the Most High God. Many times we reject what we know to be true, just so that we can pretend that we are the one in charge. Don’t let your stubbornness, no matter how clever you make it sound, keep you from this relationship with this Most High God. Without Him there is just increasing darkness and confusion. And a rejection of this free gift means that you will face the eternal judgment of God. It would have been very easy for Abraham to dismiss the promises that God made to him, because from a human perspective they were laughable and unrealistic. But instead, Abraham believed God, and that made all the difference. And Abraham had to believe a promise into the dim future, while you and I have the advantage of seeing it played out in recorded history. I hope that you too, like Abraham, will embrace the covenant promise through Jesus Christ. If you are seriously seeking to know whether these things are true, try a little experiment. Ask God for an explanation. He will listen to you just like he did with Abraham. Say to Him, “If you are the Most High God, please confirm it to me with some evidence in my own life.” Or to Jesus, “If you are truly my Savior, confirm it to me with some evidence in my life.” If you approach God with this seeking attitude, and with an honest commitment to act upon what He shows you, you will find that He will reveal Himself to you in some circumstance of your life. It may be a chance encounter with someone, it may be a dream or a vision, it may be a communication through the media, or some other circumstance that you did not expect, but the Most High God will show you by some means that He wants to do business with you. Admit to God that you have fallen short of His moral requirements. Believe that Jesus’ death and resurrection paid the price for your sin. Confess Jesus Christ as your Savior and Lord. 1. If you want to investigate further, try to obtain a Bible and read those passages that have been mentioned above, or read about Jesus in the Gospel of John. Ask God for help in understanding the Bible. VIDEO: Why Messiah must be God!